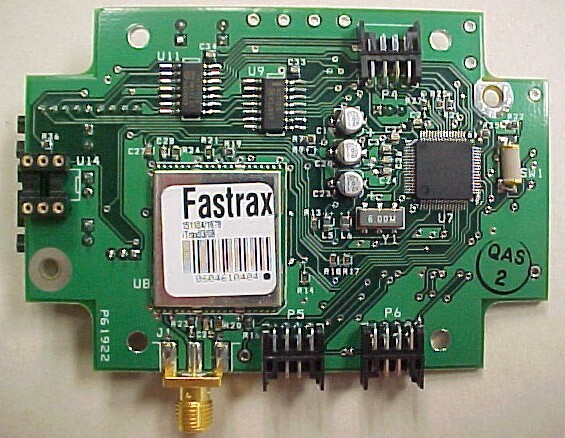 This circuit board was the heart of a transportation/trucking fleet management system. It utilized GPS positioning technology and GSM cell-phone technology to track and report its position and status information to a central server. This server was accessible from the Internet for use by customers in tracking their fleets. This application required the development of a sophisticated power supply that could operate from vehicle power as well as internal batteries while withstanding the surges and sags typical of vehicle electrical systems. The design also had to withstand the temperature extremes encountered in transportation applications, from the cold of a Minnesota winter to the heat of summer in Arizona. Microprocessor power management was used to conserve energy consumption and maximize battery life. 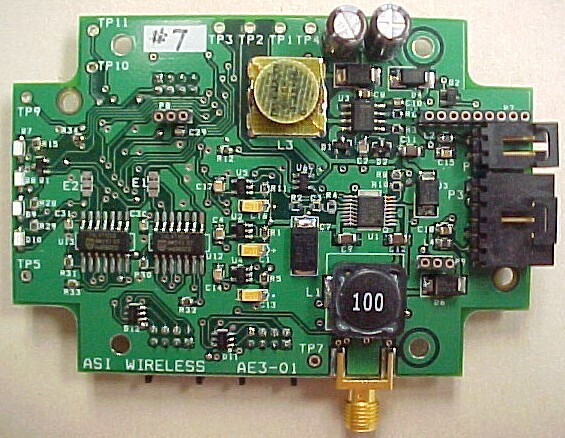 A Texas Instruments' MSP430 microprocessor was used to manage power, monitor status and handle communications with the GPS and GSM cell-phone module. Theta Engineering handled all aspects of research, circuit design, PCB layout and firmware development for this design.